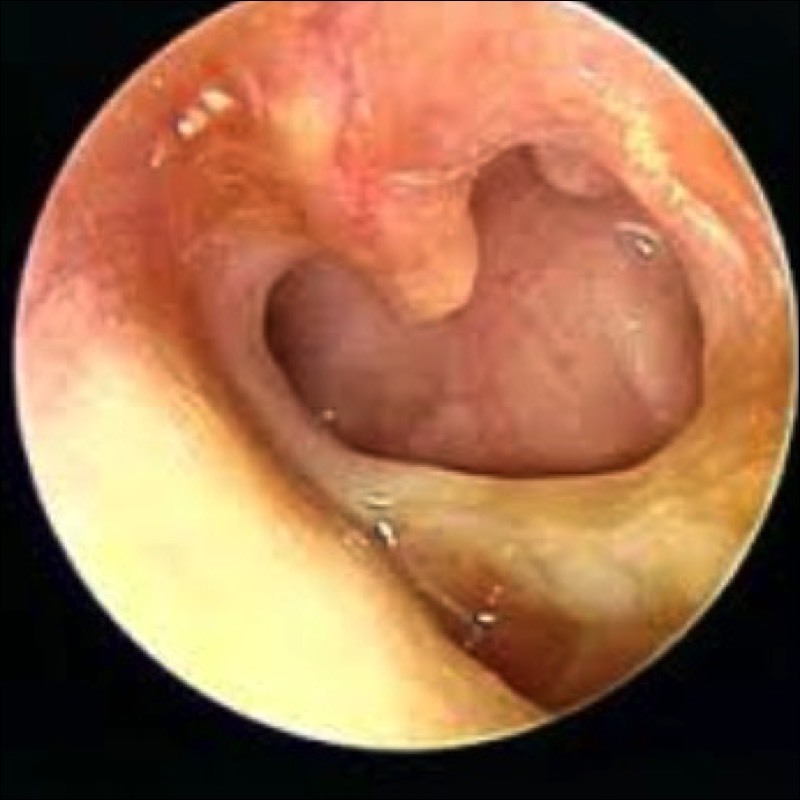 Chronic otitis media (COM) is defined, to comprise chronic suppurative otitis media and chronic perforation of the tympanic membrane. 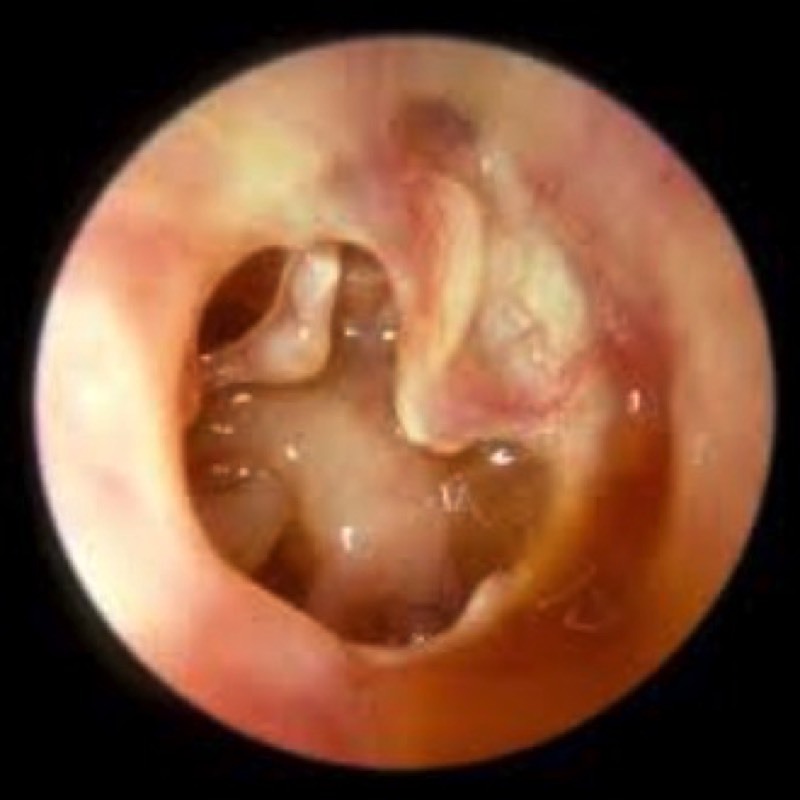 Chronic suppurative otitis media (CSOM) is a stage of ear disease in which there is chronic infection of the middle ear-cleft, a non-intact tympanic membrane and discharge (otorrhea), for at least the preceding two weeks. 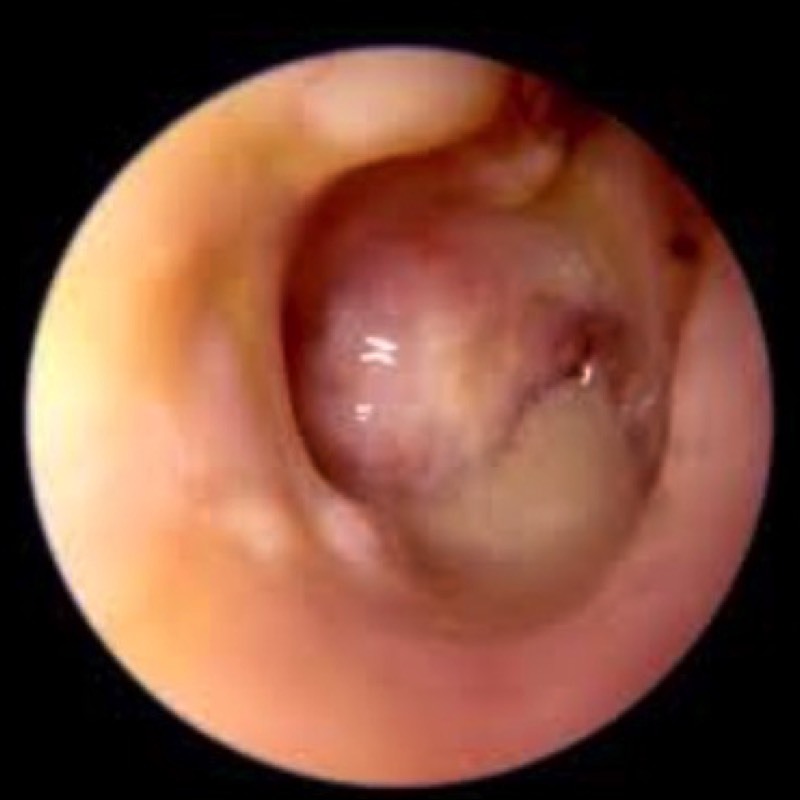 Chronic perforation of the tympanic membrane may develop after an acute perforation fails to heal, or following resolution of CSOM, or during the course of chronic otitis media with effusion. 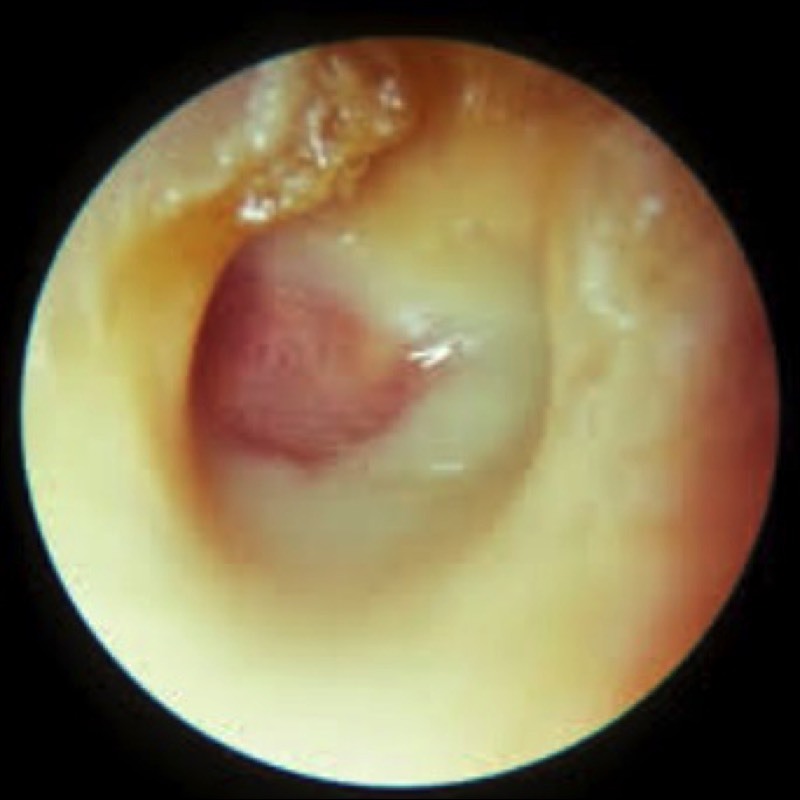 Chronic otitis media is a major public health problem in many populations around the world, and a significant cause of morbidity and mortality. The disease and its sequelae produce substantial economic and societal costs. It is particularly common amongst the poor in developing countries around the world, and also in certain disadvantaged groups in developed countries. COM is a major global cause of hearing impairment, and this effect is a matter of serious concern, particularly in children, because it may have long-term effects on early communication, language development, auditory processing, psychosocial and cognitive development, and educational progress and achievement. The prevalence of COM around the world ranges from 1-46% in disadvantaged groups in developing and developed countries. A prevalence of >1% of COM in children in a defined community indicates that there is an avoidable burden of the disease, but which can be dealt with in the general health care context. A prevalence of >4% indicates a massive public health problem of COM which needs urgent attention in targeted populations. In many countries, accurate population-based data for COM is not available. Such data is needed for a country to determine the priority for the prevention and management of COM in the national health program. Under the direction of the WHO there are prevalence based data programs conducting small-scale surveys incorporating rapid assessment methods to gather data, which will improve on the awareness ear disease as both national and global problems. Risk factors for the development of COM include young age, overcrowding, inadequate housing, poor hygiene, lack of breastfeeding, poor nutrition, exposure to cigarette or wood- burning smoke, high rates of naso-pharyngeal colonization with potentially pathogenic bacteria, eustachian tube dysfunction, and inadequate or unavailable health care. Poverty is a major risk factor in developing countries and in certain neglected populations including ethnic groups such as Inuits, Polynesians, Australian Aboriginals, and Native Americans. There are different ways of reducing or eliminating long-term morbidity and mortality caused by COM. First and foremost should be measures targeted, including breastfeeding, immunization, adequate nutrition, personal hygiene, improved housing, reduced overcrowding, and adequate access to clean water. Additionally, primary health care workers should be given appropriate training and basic equipment for detection and management of COM and prevention and care of COM should be integrated into the existing primary health system. In many countries, we see that the diagnosis of COM needs to be made earlier in childhood, particularly to prevent its long-term morbidity from chronic discharge and hearing loss, and reduce mortality from complications, such as cholesteatoma, meningitis, brain abscess, and death. Specific questions on certain ear disease symptoms and signs should be included in the childs road to health chart and health education messages regarding COM and nasal and ear hygiene should be included in a health eduction manual for PHC workers to use with school teachers, pupils, and parents. The current WHO recommendations for treating chronic ear infections (pus seen draining from the ear and discharge reported for 14 days or more) are to dry the ear by daily wicking by the parent and follow up in 5 days. Although antibiotics are not currently recommended, there is now evidence that wicking by itself is ineffective and topical and/or systemic antibiotics need to be administered also. However, aminoglycoside-containing topical antimicrobial agents are NOT recommended because of known ototoxicity in animal models. Ear surgery may have a role in both the primary and secondary prevention of COM and it plays an essential part in the prevention of further hearing impairment and, sometimes in the improvement of hearing. Because of the limited amount of resources, such as trained health workers, primary care doctors, and the availability of ENT specialists and appropriate facilities and equipment to treat ear disease, there is a limit on the availability of surgical services at the primary, secondary and tertiary levels for proper management of COM.